The Hyundai Venue is a sub-4 metre SUV like the Maruti Vitara Brezza. In some developed markets, it will replace the Hyundai Accent hatchback. The Hyundai Venue features a blend of funky and traditional design. The front and rear fascias have a trendy and urban look, while the profile is proper SUV-like, inspired by that of the Hyundai Creta. The design is neither as radical as that of the Hyundai Kona nor as plain as that of the Hyundai Creta. It’s somewhere in the middle. 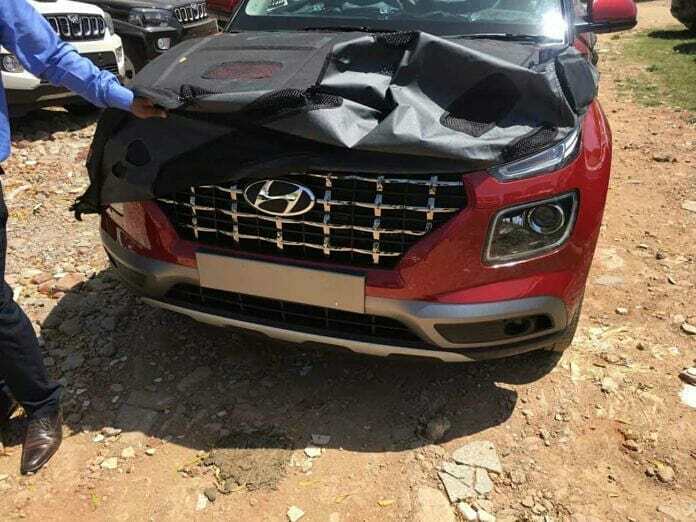 The front-end comprises a visibly large Cascading grille flanked by Composite Light that is yet another signature trait of latest Hyundai SUVs. Slim daytime running lights are positioned on the top of the headlights, below which the bumper has a noticeable bulge to enhance the ruggedness of the SUV. Round fog lamps and a faux skid plate are also visible in the image. At the rear, the fact that this squarish SUV has evolved from the Hyundai HND-14,’Carlino' concept is clearly evident from the shape of the tail lamps, which feature LED brake lights. The fog light and reverse light are positioned separately, in the bumper, in a typical European fashion. The model name is inscribed in large letters in the centre for an upmarket styling. 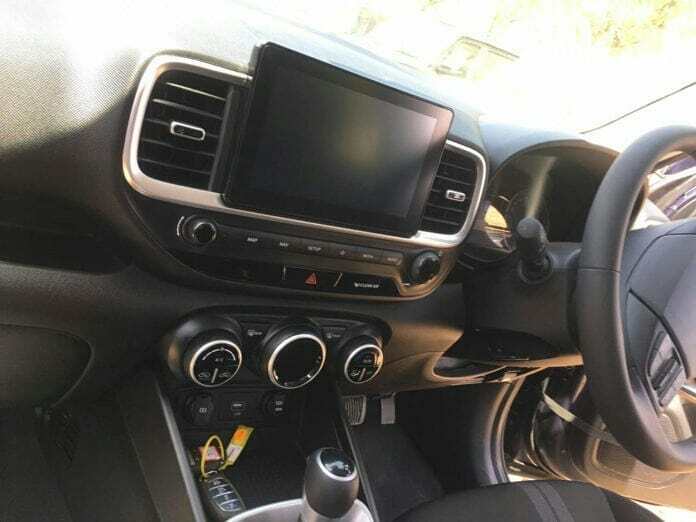 Inside, the Hyundai Venue packs a multifunction compact steering wheel in a familiar design, boxy central air vents with rounded corners, a large touchscreen infotainment system with satellite navigation and automatic climate control among others. The red-coloured turbo badge is on the Venue’s tailgate is a first for a Hyundai in India. It denotes that the vehicle employs one of the company’s T-GDI turbocharged direct injection petrol engines. In this particular case, the T-GDI engine is a 1.0-litre three-cylinder unit producing 100 PS and 172 Nm of torque. It is paired with a 7-speed dual-clutch automatic transmission - also a first for a Hyundai in our market. Engine options will include the 1.4-litre petrol and diesel units from Verna as well, both likely coupled to a 6-speed manual transmission. The Hyundai Venue seen in these images is in the SX grade, and it could be equipped with an (O) option pack. The Hyundai Venue will go on sale in India next month. It will compete with the likes of Maruti Vitara Brezza, Ford EcoSport, Tata Nexon and Mahindra XUV300. Expect prices to start close to INR 8 lakh (ex-showroom).